First of all, allow me to thank the organizing committee for inviting me to speak at this important meeting on ‘value-based medicine in oncology’. This meeting will be a valuable platform to discuss and to share knowledge and experiences on the impending need to optimize the limited resources available to us as providers in health care. Increasing healthcare expenditures is a common concern to both developed and developing countries worldwide. In the US for example, the total healthcare expenditure was reported at USD 2.79 trillion in 2012 and is expected to rise to USD 4.70 trillion in 2021. Similarly on home ground in Malaysia, health expenditure has increased for almost three folds in the past decade, from RM 12.92 billion in 2001 to RM 37.87 billion in 2011. Expenditure on medicines has always been the major driver of health expenditures. In 2012, medicines costs accounted for about USD 263 billion or 10% of the total health expenditures in the United States. The total spending on medicines and supplies for MOH in Malaysia was reported to be 2.36 billion in 2011 which is about of 14% of the MOH total health expenditure of 16.86 billion for the year. It should also be noted that health care spending in the private sector is high, particularly out of pocket expenses contributing to 37% (or 14.15 billion) of total health expenditure5. A number of factors have been identified as contributors to health expenditure growth, including the ageing of populations, increased public demand and expectations, personal income growth and rising prices of supplies and services to name a few. Additionally, analysts often point to advances in medical technology and their diffusion across health systems as the main driver for the rapidly increasing health expenditures. 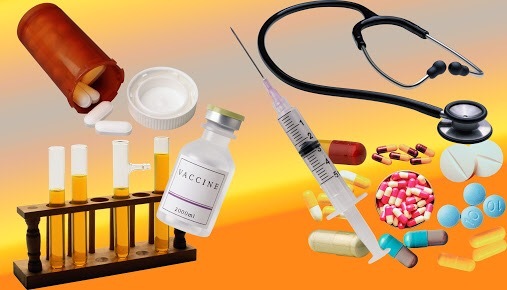 This is particularly so in the case of cancer treatments with the rapid growth of innovative but very costly medicines like biologics, targeted therapies and vaccines. Thus rising medicines expenditure has become an enduring challenge to health care providers, requiring a complex balancing act of managing costs and affordability without compromising access to beneficial treatments and support for innovation. 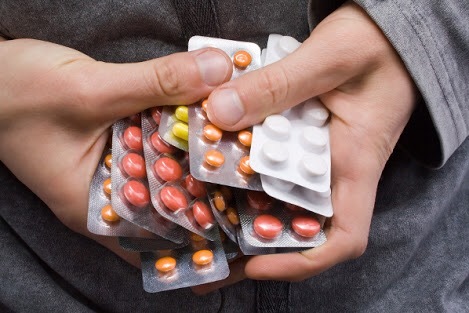 Availability of medicines in Malaysia involves a two-stage process. New medicine first needs to be registered with the Malaysian Drug Control Authority (DCA) at the National Pharmaceutical Control Bureau (NPCB) before it can be marketed in the country. The NPCB reported over 600 new products approved for registration in 2012. However, only a handful is possibly ‘break-through’ medications that could provide clinically significant advantages over the existing therapies. 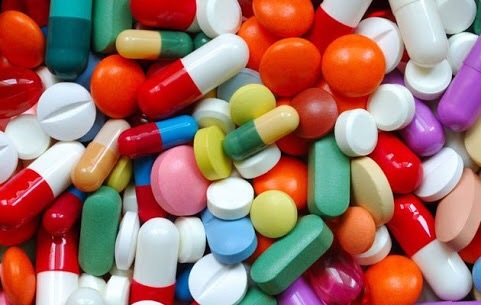 The DCA approved medicines will later enter the second stage of the process seeking greater access to patients through listing into the MOH Medicines Formulary or through promotion and marketing in the private sector. As the main provider of healthcare and the guardian of public fund, MOH holds a huge responsibility of ensuring that only value-for-money medicines and technologies are made available for our patients. 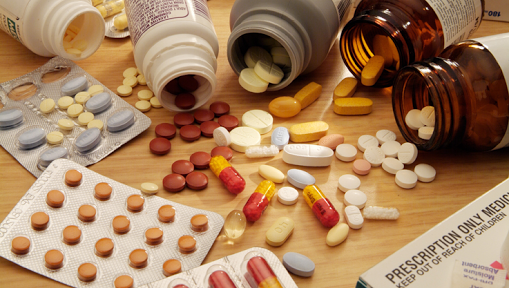 In MOH, this is achieved through organized and rigorous process of medicines listing into the MOH Formulary. Our colleagues in the private sector shoulder similar responsibility particularly in the case of costly oncology treatments. Cost of treatments can be catastrophic economically to patients and families alike especially when funding is mainly ‘out of pocket’ as mentioned earlier. Additionally, when resources are scarce and budget is limited, difficult decisions/ choices have to be made to adopt or otherwise these new technologies. The opportunity cost that is other benefits or values that have to be forgone to take up the new technology has to be considered too. Comparative cost-effectiveness study and health technology assessment (HTA) on new technologies facilitates providers to make informed choices. In these assessments, both the benefits of the treatment (ranging from clinical benefit to improved quality of life) as well as setbacks incurred (including costs and adverse effects) should be thoroughly assessed and reported. Cost-effectiveness (CE) analysis is a well-established tool to help us understand what we get in return for the money that we intend to spend. This is especially crucial in the case of expensive drugs like oncology drugs when incremental clinical benefits need to be weighed against the high medicines price. In this analysis, costs are expressed in monetary terms and benefits in units of health like years of overall survival or quality adjusted life years (QALY). But how do we interpret the cost effectiveness ratio obtained from this analysis and to decide whether to adopt a new medicine or otherwise? Most countries establish a cost-effectiveness threshold level: the amount of money that they are willing to spend for a patient to gain one year of life. The threshold often needs to be agreed among the health care providers. It is noted that internationally, different benchmarks are used, the oldest being the level of dialysis cost. The World Health Organisation (WHO) has proposed that CE thresholds be based on the per capita annual income per QALY recommending three categories of cost-effectiveness: Highly cost-effective (less than GDP per capita); Cost-effective (between one and three times GDP per capita); and Not cost-effective (more than three times GDP per capita). The Malaysian Pharmacoeconomic Guideline however has yet to recommend any formal cost-effectiveness threshold . Medicines with cost effectiveness ratio above the set thresholds are rendered too expensive and should not adopted or added to the Formulary, be restricted in its use, or subjected to co-payments. In developed countries, drug evaluations including economic evaluations are carried out by established bodies like National Institute for Clinical Excellence (NICE) in the UK, Scottish Medicines Consortium (SMC) in Scotland and Centre for Drug Review (CDR) in Canada. These bodies recommend reimbursements or listings based on set cost-effectiveness thresholds. For example SMC in Scotland did not recommend Bevacizumab (Avastin) for use within NHS Scotland in combination with chemotherapy stating that ‘even though improved overall survival was seen but economic case has not been demonstrated’. I know that some of us may be avid users of the US based National Comprehensive Cancer Network (NCCN) or the European Society for Medical Oncology (ESMO) Guidelines. However, when using these guidelines, we should be mindful of the clinical relevance of the recommendations therein. I also wish to highlight that these guidelines usually do not consider economic evaluations which is vital particularly for oncology medicines. I have been made to understand that many of you are currently involved on the revision of the National Chemotherapy Protocol guidelines and the most recent meeting was held in Gambang on the 11-12th October, 2014. It is commendable that the revision of this protocol has managed to engage and received inputs from all vested parties from both government and private sectors including oncologists and non-oncologists such as surgeons, gynaecologists, chest physicians, hospital pharmacists and pharmacists from the Formulary and Pharmacoeconomics Branch of the Pharmaceutical Services Division. The involvement of the wide range of professionals will hopefully translate into a more comprehensive and well-accepted guideline and protocol that will be valuable for use in both public and private sectors. I am also happy to note that cost-effectiveness was considered in selecting new medicines for inclusions into the revised protocol using two times GDP per capita as the working threshold. I was informed that as a result, an expensive drug like Pemetrexed for the first line treatment for Non Small Cell Lung Cancer was unanimously not accepted into the protocol. The quick analysis on drug costs/ adjusted life years was also useful to eliminate drugs that are clearly above the threshold without the need to conduct time-consuming and costly full HTA analysis. I also note that the Jawatankuasa Ubat-ubatan Onkologi recently has suggested that MOH adopted a cost-effectiveness threshold to facilitate decision-making particularly for oncology treatments. Guidelines outlined by WHO of 1 to 2 times GDP was suggested. I support that a threshold should be put in place to guide decisions. However, determining the appropriate value will need discussions among the stakeholders which should happen soon. Thresholds have also been should as an effective tool in negotiating medicine price with drug companies. I would like to draw the experience of Thailand in negotiating medicines price based on accepted threshold that could be emulated in Malaysia. When Oxaliplatin was first introduced for listing, it was initially rejected by Committee for National List of Essential Medicines due to high cost effectiveness ratio (ICER) of about 4 times the set threshold of 120,000 per QALY. However, it was eventually accepted when the oxiplatin costs were reduced and the ICER dropped to 126,000 Baht close to the set threshold of 120,000 Baht per QALY. I was informed that the Systemic Protocol working group is keen to propose Tyrosine Kinase Inhibitors namely erlotinib and gefitinib as first lines in selected patients of Non Small Cell Lung Cancer. This could possibly be fulfilled if the medicines price could be negotiated down rendering the drugs cost-effective in view of the agreed threshold similar to what was done in Thailand. These 2 days we are privileged to have Dr. Paul Cornes from Bristol, UK who is a Senior Consultant Clinical Oncologist with a special interest in pharmacoeconomics, also a known figure in the post graduate medical education for clinical oncologists in Malaysia. He is here to share his experience and knowledge in pharmacaoeconomics and value-based medicines particularly with regards to oncology treatments. With the overall aim of meeting to discuss value-based medicines concept in guiding access to medicines, the meeting alongside lectures will hopefully provide additional inputs for the reimbursement/ listing protocols and a rapid publication of “over-arching guidelines for the guidelines”. As we have already known, making value-based decisions are complex. When decisions have been made, defending decision against critics may be even more difficult unless they have been made based on specific, objectified and transparent criteria. We support the initiative of incorporating value-based medicines into making listing decisions. In this way patients are ensured access to the most value-for-money technologies and health care providers are able to optimize the use of the limited available resources. Consequently, such decisions are easier to defend. Thus we need to carry out this balancing act sooner rather than later. Lastly, I would like to congratulate the organising committee lead by Dr. Gerard and his team in IKN with inputs from Datin Dr. Rugayah of HTA and Dr. Salmah from Pharmaceutical Services Division, with colleagues from university especially Professor Fuad Ismail and other colleagues from UMMC, UKM and others for coordinating this 2 day meeting. I was told that a follow up workshop is in the pipeline for early 2015 which will involve wider range of stakeholders, including Patient Advocacy group and third party payors. I wish all of you, the organisers and participants a fruitful discussion and deliberations. I believe a position paper on value based medicine and listing recommendations particularly in oncology treatment would transpire.